There may be limited opportunity for distance learning for those with extenuating circumstances that prevent in-person attendance at SASLI. Students must be available for all hours of classroom instruction (8:30am-1pm Central Time) Monday through Friday for the duration of the summer program and will need to meet all computer system and equipment requirements. Before applying, please read the Guidelines for Distance Learning at SASLI. Please note that the application cannot be saved and returned to. You will be required to upload a statement of purpose, one page maximum, that addresses the medical, personal, family, professional, or other reasons why you are unable to travel to Madison for classes this summer and how you will ensure that you will be available at the given class times (8:30am-1pm Central Time, Monday-Friday) and be able to make time for sufficient homework/review (4-5 hours daily). This statement can be between one paragraph and one page in length. Only PDF documents are allowed. Please have this statement ready to upload when beginning your application. The priority deadline for Distance Learning applications has passed. 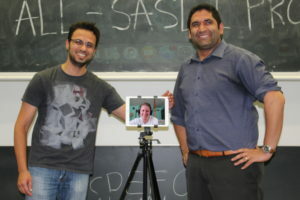 SASLI will continue to accept new Distance Learning applications on a rolling basis. In order to be considered for a Distance Learning opportunity, applicants must have a completed SASLI general application on file. 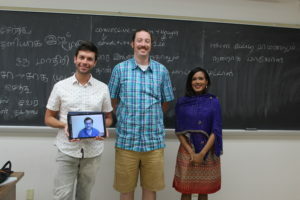 Inquiries regarding the possibility of participating in the Distance Learning Program should be directed to the SASLI office at sasli@southasia.wisc.edu.